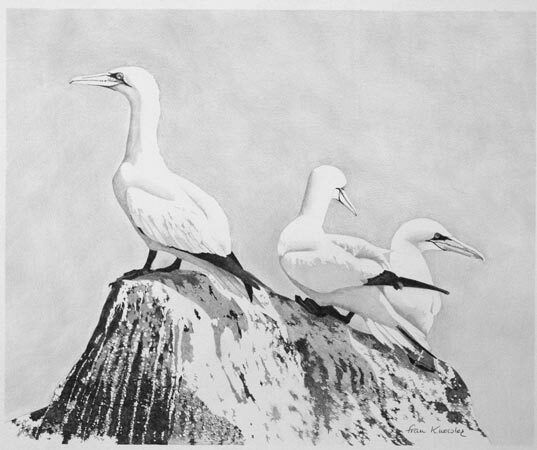 Three Gannets on Rock. Pencil. 45x38cms.